Ralph began his management career in London Life’s Victoria office and took the office from 274 ranking to the top 25 in a short 5 year period. After his huge success, the company asked him to take responsibility as the Director of management development for London Life. He then became the Director of Training and Development for the entire field force for all of Canada. 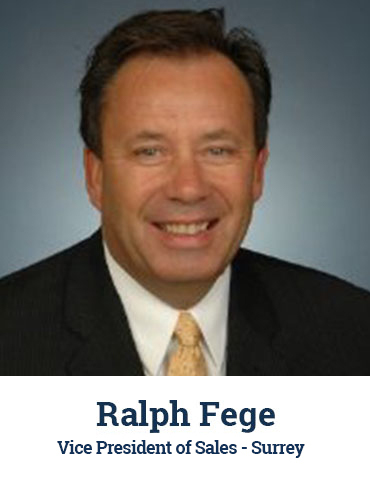 Ralph’s outstanding records allowed him to be promoted to VP of Western Canada and he looked after 14 branches, 80 Managers and a team of over 1,100 advisors. In 2000, the company reorganized and he became the Regional Director in BC and built one of the largest branches in Canada for Freedom 55. In 2010, he decided to become fully independent and started a scratch office for Desjardin Financial Independent Network and won numerous awards for productivity and sales growth. In 2015, he joined CF Canada Financial as a Managing Partner and has developed a successful organization. He has had excellent retention of Advisors and we know his skills will assist him in the continued growth of CF Canada Financial. He is a Certified Trainer and Coach and uses these skills to mentor and guide advisors to a higher level of success.